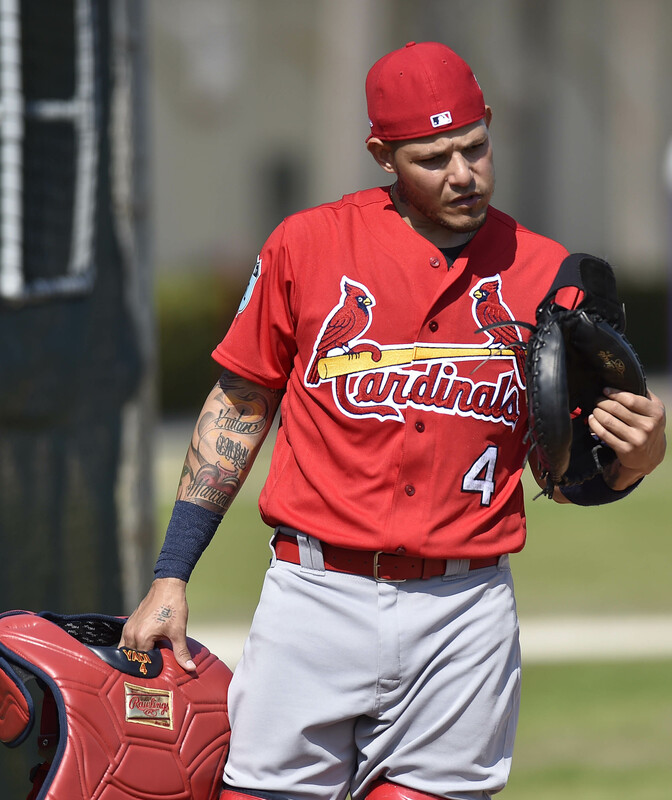 Cardinals to extend Yadier Molina. The Cardinals took steps to keep their franchise catcher, agreeing to a new extension worth $55MM-$65MM over three years. The deal, which isn’t yet official, will make Molina one of the game’s highest-paid catchers through his age-37 season, while blocking a key prospect, Carson Kelly. Rangers extend Rougned Odor. Molina wasn’t the only key player to receive an extension this week — the Rangers signed second baseman Rougned Odor to a six-year deal that will guarantee him $49.5MM while buying out his first two free-agent years, with an option for a third. The Rangers have also had extension talks with young outfielder Nomar Mazara, although they do not appear to have gone far to this point. They’ve tabled new contract talks with catcher Jonathan Lucroy. Key pitcher injuries. The end of Spring Training brought a couple significant injuries to AL pitchers this week, with Mariners lefty Drew Smyly set to miss six to eight weeks with a left arm flexor strain and Giants reliever Will Smith having Tommy John surgery. Ariel Miranda will join the Mariners’ rotation in Smyly’s place. The loss of the very effective Smith looks to be a tough one for the Giants’ bullpen. Indians extend Jose Ramirez. The Indians agreed to a new four-year deal with their infielder to buy out one of his potential free-agent years, with options for two more. An extension for shortstop Francisco Lindor would surely be even more welcome news for Cleveland fans, although it appears there’s been no progress on that front. Teams release veterans. Spring Training’s end also brought the release of a number of MLB veterans, who now face decisions about how best to continue their careers. Veterans who became free agents this week include Jimmy Rollins (Giants); Jared Hughes (Pirates); James Loney (Rangers); Desmond Jennings and Ryan Raburn (Reds); Mike Pelfrey and Mark Lowe (Tigers; Lowe agreed to a minor-league deal with the Mariners); Michael Bourn (Orioles); Vance Worley and Joe Nathan (Nationals); Bryan Holaday, Ryan Hanigan and Chris Coghlan (Phillies; Holaday signed with the Tigers, while Hanigan signed with the Rockies); Paco Rodriguez and Blaine Boyer (Braves); Kevin Jepsen (Diamondbacks); and Munenori Kawasaki (Cubs; Kawasaki is heading back to Japan). Also, the Rockies designated veteran reliever Jason Motte. Combining all those released veterans would make an interesting team roster. Might win more games than the Padres, for example.